December 21 2017: Today's links to headline stories from around the world on the threats, opportunities, and dangers facing our fragile planet –along with an occasional dash of humor, popular culture, and an intriguing conspiracy theory or two. The last few years demonstrate that extraterrestrial research has finally moved into the mainstream — and money is pouring in fast. Aside from a strange blip in the 1950s and early 1960s, the search for extraterrestrial life has primarily taken place at society’s fringes. Public figures have not historically risked their reputations advocating the search for alien life. And within the scientific community, the subject was largely (and understandably) sidelined until recent years, when telescopes that could detect new planets and instruments that found the ingredients for life on other worlds allowed serious-minded researchers to pass the laugh test. As a result, the last decade has seen a surge of interest in extraterrestrial research within the scientific community that has seized the public imagination. For example, the recent discovery of water on Mars immediately raised serious hopes from serious people we might find Martians. Every announcement that scientists have found another potentially habitable exoplanet (which includes the nearest exoplanet to Earth) causes days of clamor on the internet. But finding aliens isn’t just about tracking extraterrestrials or the re-jiggering of existential thought that might entail. Discovering an alien species could bolster hopes for the long-term survival of humans off-planet. Extraterrestrial life doesn’t need to present us with new technologies to help us become a multiplanetary species; presenting proof positive that life can survive in space will get the job done. If — and when — that happens, billionaires will have found the biggest untapped market in the cosmos. As sea ice grows shockingly low and late, Utqiagvik’s record warmth stymies algorithms. When federal climate scientists set about making their usual monthly tally of data from weather stations around the country in December, one station was glaringly missing: Utqiavik (formerly Barrow), Alaska, the northernmost community in the U.S.
After some digging the scientists found that month upon month of exceptionally warm temperatures had caused their automated quality-control checks to flag the data as suspicious. Basically, the computer algorithm they were using thought the warming over the past year was too rapid to be real. But it turned out to be very real—and a stark example of the broader warming happening across the Arctic, where temperatures are rising at twice the global average. Through September 30, this year was the Arctic’s second warmest on record (behind only 2016), according to the 2017 Arctic Report Card, released this month by the National Oceanic and Atmospheric Administration. The unrelenting temperature rise and accompanying downward spiral of sea ice—which in turn amplifies that warming—“confirm that the Arctic shows no sign of returning” to its reliably frozen former state, Jeremy Mathis, director of NOAA’s Arctic Research Program, said at a press conference. "It accelerated like nothing I’ve ever seen." But what did they actually see? Since the Pentagon confirmed the existence of a top-secret UFO-hunting program, internet denizens have been trying to piece together the puzzle of this cheap X-Files reboot, starring Harry Reid and Robert Bigelow, apparently. In a follow-up to the big story, the New York Times published a first-hand account of two Navy airmen who claim to have seen a rapidly accelerating, flying object they couldn’t explain, one night back in 2004 while flying Navy F/A-18F fighter jets near San Diego. “It accelerated like nothing I’ve ever seen,” Commander David Fravor told the Times of what he thought was a flying object in the sky. Some of what they saw has been published in a video that the Pentagon’s UFO search division studied for research, or, whatever. “Typically, the explanation is that the thing they are looking at is much closer or much farther than they thought, or is a reflection of some kind,” Jonathan McDowell, astronomer at the Harvard-Smithsonian Center for Astrophysics, tells Inverse. It took years for ex-Facebook and Google bosses to criticize what they had created – but they seem to have had a collective change of heart. Perhaps it’s because they now have children of their own. 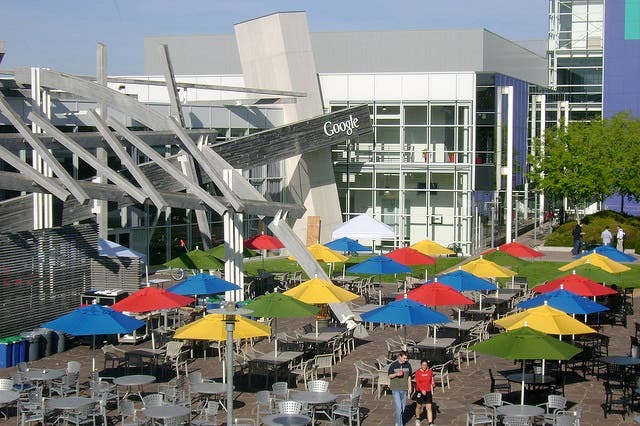 For an industry that prides itself on innovation, Silicon Valley loves to conform. The herd mentality can be seen everywhere, from tech executives’ collective commitment to wearing wool slippers in public to the spectacle of Facebook, Google and Twitter sheepishly echoing one another’s testimony at a series of congressional hearings in October. In recent months, a new trend has emerged among the tech elite: publicly bashing the companies that made them enormously wealthy. Sean Parker and Chamath Palihapitiya, both former Facebook executives, made headlines recently with sharp critiques of their former employers’ addictive qualities and damage to society. The pair joined a growing chorus of disenchanted techies, including the Facebook engineer who invented the Like button, the former Google ethicist Tristan Harris, and the designer who came up with the “pull to refresh” mechanism used by Twitter. One of Australia's oldest naval mysteries has been solved after the discovery of the wreck of the country's first submarine more than 103 years after its disappearance in World War I. The AE1 vanished off the New Guinean island of New Britain on September 14, 1914, with 35 crew aboard from Australia, New Zealand and Britain. 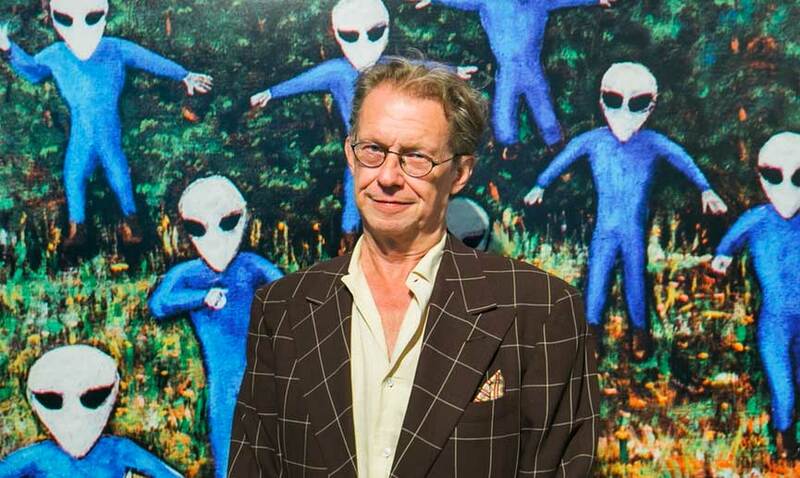 One of the world’s foremost experts on the subject of flying saucers doesn’t believe in alien abduction, little green men, or government cover-ups one bit. Instead, author and saucer aficionado Jack Womack is interested in the people who believe that they’ve seen UFOs. He’s so fascinated by these true believers, in fact, that he’s collected nearly every single book — some of which there were only handful of copies printed — by authors who claim to have seen flying saucers. Over the course of several decades, he amassed a vast collection of UFO books, so many in fact, that his collection is now referred to as a library. Last month, a selection of Womack’s vintage books were on display at the Milk art gallery in New York City, ahead of his new book’s launch, cheekily titled …Flying Saucers Are Real! Womack begins his book by chronicling the publication of Richard Shaver’s story “I Remember Lemuria!” in a March 1945 issue of Amazing Stories. Shaver’s story of alien creatures dwelling in caverns below the Earth is notable because it was sent to Amazing Stories as non-fiction, and rewritten by an editor named Ray Palmer for publication. As such, a story which many UFO or alien conspiracy theorists would consider to be “true” was the work of a desperate fiction editor retooling a letter from a madman. But if the Shaver stories were the beginning of UFOs crossing over into science fiction, when was the start of journalists writing about them? Where Were Netflix and Google in the Net-Neutrality Fight? Big tech firms have gone from pushing for open-internet protections to being powerful enough not to need them. The most recent chapter in the debate over net neutrality has been, like previous chapters, cacophonous. One notable difference this time around, though, was the relative quiet of many large tech companies. In previous years, these firms had been outspoken about the issue. What changed? Netflix’s net-neutrality journey is an illuminating example. In 2014, Reed Hastings, the company’s CEO, issued a strongly worded warning about oppressive “internet tolls” that could threaten the web’s status as a “platform for progress.” His company had recently tussled with Comcast (ultimately agreeing to pay the cable company to get data for its streaming videos to customers smoothly) and Hastings felt a need to take a stand in favor of net neutrality. In advance of a 2015 Federal Communications Commission vote on the issue that went as Netflix hoped, the company’s representatives reportedly contacted or visited FCC officials more than a dozen times. In the time between then and last week—when the FCC voted to undo its 2015 regulations—something, apparently, had changed. “We think net neutrality is incredibly important,” Hastings said at a tech conference in late May, but went on to say that it’s “not narrowly important to us because we’re big enough to get the deals we want.” The “deals” he was referring to are the ones theoretically opened up by the repeal of net neutrality—they’re the fees that internet-service providers (like Comcast) could ask for from, well, just about anyone (like Netflix), in exchange for speeding their data along. Netflix did submit two filings to the FCC in the run-up to last week’s vote, but the commission didn’t have any record of lobbying visits on the company’s behalf during that time, according to Bloomberg.